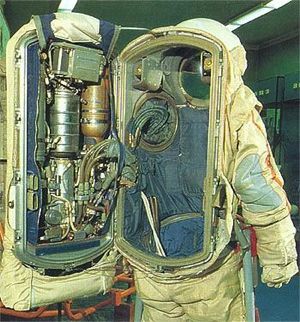 Russian space suit. 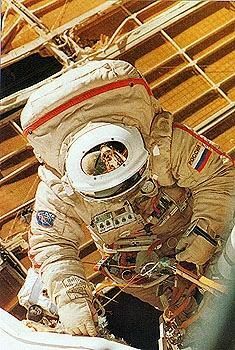 The Orlan spacesuit was used for Russian EVA's on Salyut, Mir, and the International Space Station. It was designed by the Zvezda OKB, and derived from the Kretchet suit intended for use on the lunar surface. AKA: Radioscaf;Suitsat. Status: Operational 1978. First Launch: 1998-11-20. Last Launch: 1998-11-20. Number: 1 . It consisted of flexible limbs attached to a one-piece rigid body / helmet unit. The suit was entered through a hatch in the rear of the torso. The exterior of the hatch housed the life support equipment. 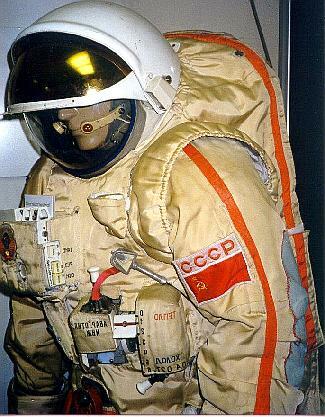 Maximum operation time was three hours when the Orlan-D version of the suit was first used on Salyut 6. Later Orlan-DM versions of the suit increased this period to nine hours. 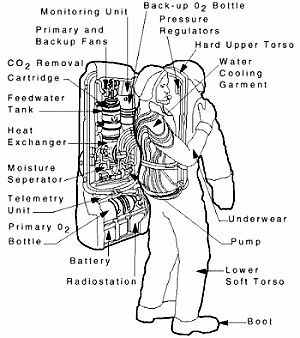 The integrated design meant that no external hoses were required as in the American space suits. The suit standard pressure was 0.40 atmospheres, so that a prebreathe period of only 30 minutes was required. Electrical power and communications were via an umbilical cord to the station. Control of the suit was via a panel on the chest, with the markings in mirror image. The cosmonaut viewed the panel using a mirror on the wrist of the suit. Family: Communications, Space Suits. Country: Russia. Launch Vehicles: Proton, Proton-K. Agency: Zvezda Design Bureau. Bibliography: 376. 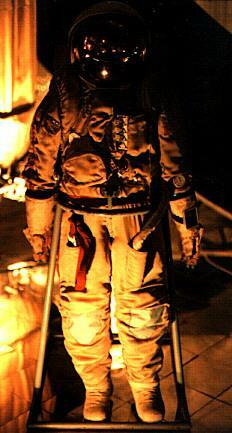 Orlan DM spacesuit used on Mir. 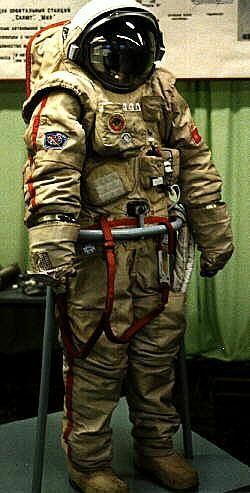 Orlan space suit as used on Salyut 7 and Mir space stations. 2011 August 3 - . 18:43 GMT - . Launch Platform: ISS. Radioscaf-B - . Payload: Suitsat. Nation: Russia. Class: Communications. Type: Communications satellite. Spacecraft Bus: Krechet. Spacecraft: Orlan. Decay Date: 2012-01-04 . USAF Sat Cat: 37772 . COSPAR: 1998-067CK. Apogee: 352 km (218 mi). Perigee: 345 km (214 mi). Inclination: 51.60 deg. Period: 91.50 min. 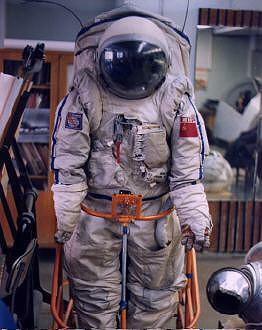 Used Orlan spacesuit equipped with a radio transmitter. Released during an ISS EVA and transmitted for two days in a separate orbit. 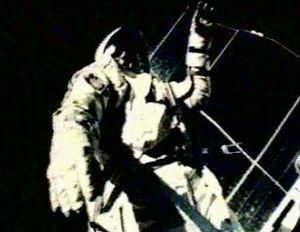 The astronauts shoved it into space with the words "Goodbye, Mr Smith. ".